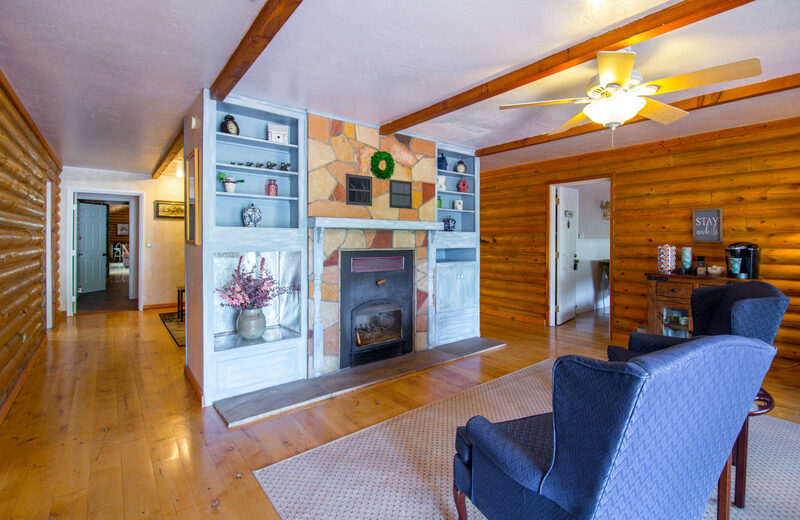 Tucked at the base of the mountains in historic Williams, AZ, the Quarter Horse Lodge is a spacious, two-story Log Home and is about 6300 square feet with ample parking area. Relax in the restful, romantic atmosphere in one of our rooms. Every room is individually decorated with antiques and artwork pieces. Please note that this beautiful Lodge is adjacent to four exquisite Inn rooms that share a beautiful common space, of their own. Each room is equipped with a gorgeous full bath, fireplace, television with cable and much more. The space accommodates an additional eight people. The Quarter Horse Inn & Lodge is available to be rented in its' entirety for weddings, business retreats, and other special events. Let our quiet, spacious Lodge with beautifully furnished rooms immerse you in the simplicity & peaceful surroundings of the Bill William’s mountain, with an elevation of 6,770 feet. 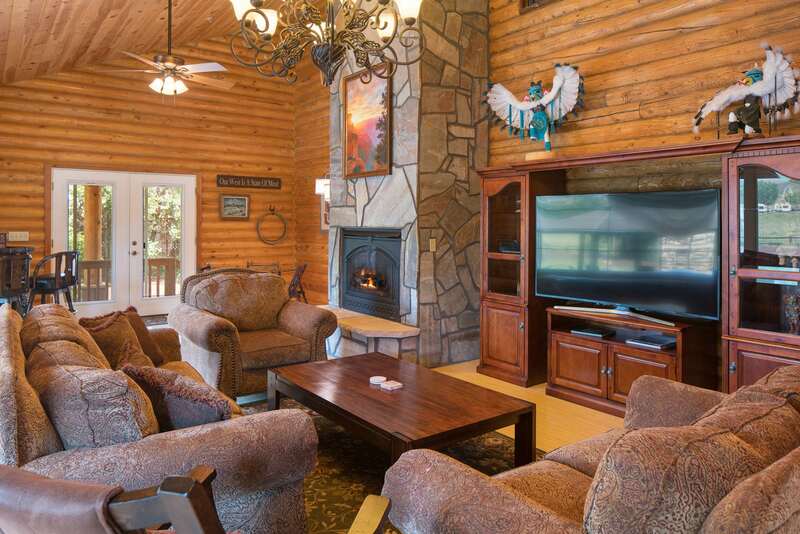 Set foot into this extremely Grand, southwest-themed log home and experience all the splendor it has to offer. Decorated with Southwest and Native American decor, this beautiful log cabin home makes you feel like you’re heading west, paving the road to the New Frontier. The Quarter Horse Inn is the pinnacle of Southwest Luxury. Located in scenic Williams, Arizona, be sure that there is no shortage of activities to keep you and your family busy on your vacation. Having four distinct and unique Flower themed rooms, you are sure to be delighted with elegant touches and thoughtful amenities that set each room apart from one another. Each room has its own full sized bathroom. With each room being able to be rented separately, you never know who you might meet while you stay! Set near I-40, this cozy, rustic log home is a 4-minute drive from a stop for the Grand Canyon Railway's scenic tours, and a 1-hour drive from Grand Canyon National Park. The 4 woodsy rooms with en-suite bathrooms are individually decorated with antiques, and feature flat-screen TVs and WiFi access. Most rooms have private entrances and claw-foot tubs. Some rooms have 2-person Jacuzzis and fireplaces. The wraparound porch has rocking chairs, and there's a living room with a fireplace. It's truly a feast for the eyes; come and see it for yourself!